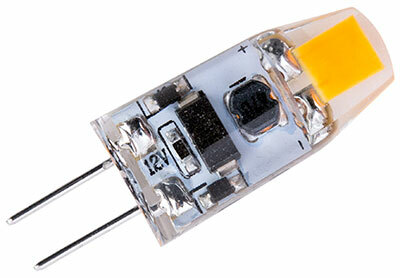 FX Luminaire unveiled its G4 replacement lamp, offering retrofit capabilities for lighting fixtures with a G4 lamp base. “The G4 is a great choice for converting T3 incandescent fixtures to LED systems and leads to significant energy savings,” said James Cervantes, product manager for FX Luminaire’s lighting controls. Available in two intensities, the lamp has a warm, 2,700-kelvin color temperature and features a clear silicon capsule design. The G4 also is compatible with the company’s Luxor ZD and ZDC Technology with the use of the low voltage Luxor Cube, which provides a pre-installed option for FX Luminaire path lights.